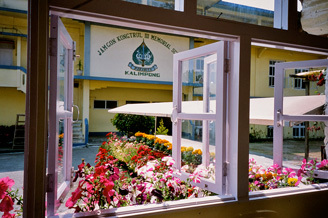 Impressed by the high standard of education in the schools in Kalimpong and Darjeeling, the Third Jamgon Kongtrul Rinpoche was however dismayed by the lack of emphasis on the traditions, value, and culture of the Himalayan people, and the lack of good educational opportunities for children of lower castes and from impoverished families. He wished to establish a School for needy Himalayan children of all castes and creeds. And so it came to be. The Sandutshang family of Third Jamgon Rinpoche donated land and property for the establishment of a school to fulfill his vision after his parinirvana. The large warehouse was converted into a school. 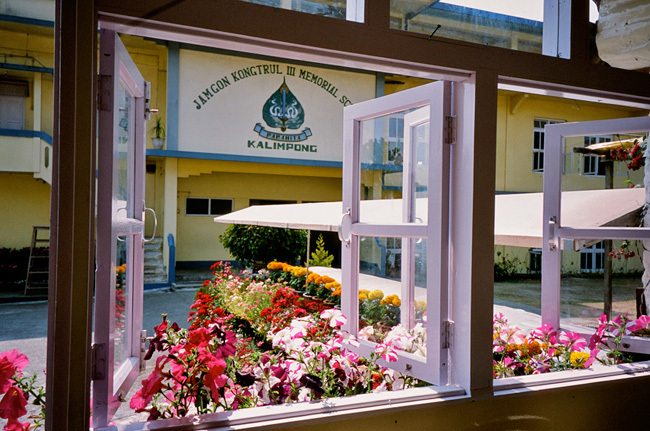 On May 10, 1997, the Jamgon Kongtrul IIIrd Memorial School opened its first class, Lower Kindergarten, to 30 needy children. There were 2 teachers. It began free of charge but with experience it became clear that parents took their children’s education more seriously if they were required to contribute nominally. In order to encourage commitment to their children’s education, parents are now required to pay for the uniforms. The initial nutritional program of daily milk and cookies for all the children is now only provided to the kindergarten children and those in Class 1 because the older children do not want to consume them. Today the classes in the school range from Lower Kindergarten to Class 8. There are 300 children, 14 teachers and 4 teaching assistants. The school building has been fully converted with an assembly hall, an office, a staff room, 12 classrooms, 2 science laboratories, a computer room and a library. There is also a small field and a playground. 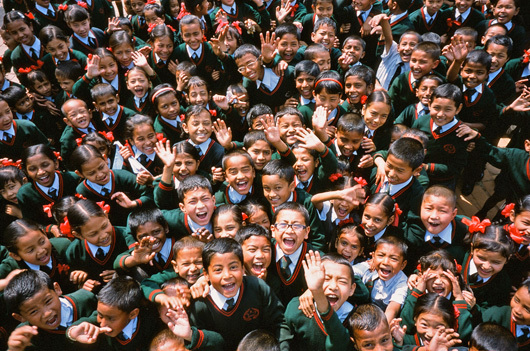 What was initially viewed by the community as a school for the lower castes, Jamgon Kongtrul IIIrd Memorial School now attracts children from higher caste families as well because of its high academic standards. The Third Jamgon Rinpoche’s vision of bridging the divide of castes and communities is gradually being realised. This is the sole official online resource of Jamgon Kongtrul Labrang. The projects described on this website are the only activities officially approved by the Jamgon Kongtrul Labrang. Copyright © 2012 Jamgon Kongtrul Labrang. All rights reserved.